Japanese car maker Toyota is making a shift to a petrol-only strategy for its non-SUV future vehicles in India. 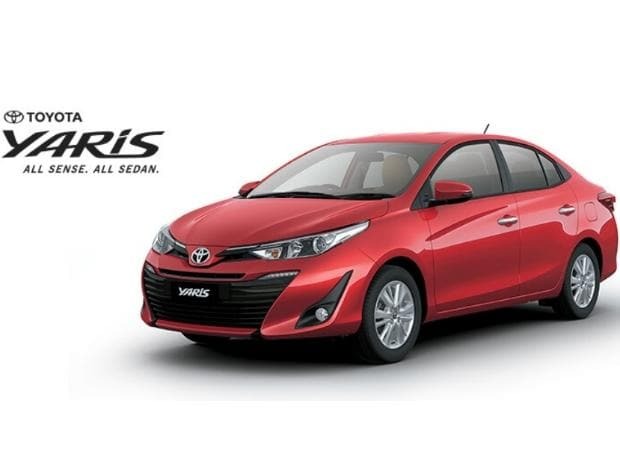 The Yaris sedan, which will be launched next month, will have a petrol only option. This marks a shift from Toyota’s earlier approach where it rolled out both diesel and petrol variants for smaller cars like the Etios sedan and Liva hatchback. “We have been monitoring this segment for some time now. In the past three years, there has been a rise in customer sales of petrol variants. Traditionally, customers like a diesel engine on bigger vehicles like SUV, MPV as higher torque is required to enjoy and handle bigger cars,” said N Raja, Deputy Managing Director, Toyota Kirloskar Motor, the Indian arm of Toyota. Indian car buyers have shown an increasing preference for petrol cars and the share of diesel variant in new car sales has fallen to 23 per cent from almost 50 per cent in FY13. The narrowing gap between petrol and diesel prices, an uncertainty around the future treatment and low resale price of diesel cars are apparent reasons for the shift. In case of SUVs, however, the bulk of the sales come from diesel variants. The Yaris does not have a diesel option globally but the company would have considered one for India had the demand for diesel cars been strong enough. Toyota has made investments of Rs 11 billion in a local diesel engine manufacturing unit that can produce more than 100,000 diesel engines a year. This unit was inaugurated in June 2016. “We will evaluate diesel options in Yaris on the basis of changing customer needs and favorable policy,” said Raja. Diesel engine technology has been at the receiving end of bans from policy-makers and courts in recent years. A ban on sales of diesel vehicles (2,000cc and above) in the NCR, imposed by the Supreme Court in December 2015, had negatively impacted Toyota more than any other car maker. The ban, which hit sales of its bestsellers Innova and Fortuner, was lifted in August 2016 after imposition of a cess of one per cent. While the price advantage in diesel has waned to a great extent, a bigger challenge for diesel cars is expected after April 2020 when Bharat Stage VI or BSVI emission norms kick in. Raja said that the price of diesel engines will see a substantially bigger increase compared to petrol engines and the share of petrol engines is expected to rise further. In the last few years, Toyota has the demand for its petrol Corolla sedan moving up from 75 per cent to 89 per cent now. The Liva hatchback has also seen a surge in demand for petrol variants. It is only in the Etios compact sedan that diesel demand has remained firm due to higher purchases from the taxi fleet segment. The company said it is focussing on creating more awareness amongst customer about clean and green strong hybrid technology. “The government’s move to extend FAME Scheme will help to boost the demand for strong hybrids, encouraging faster adoption of environment-friendly vehicles,” said Raja.